Make a one of a kind note pad using a cookie cutter as a template. This is a great craft for kids and a great rainy day activity. 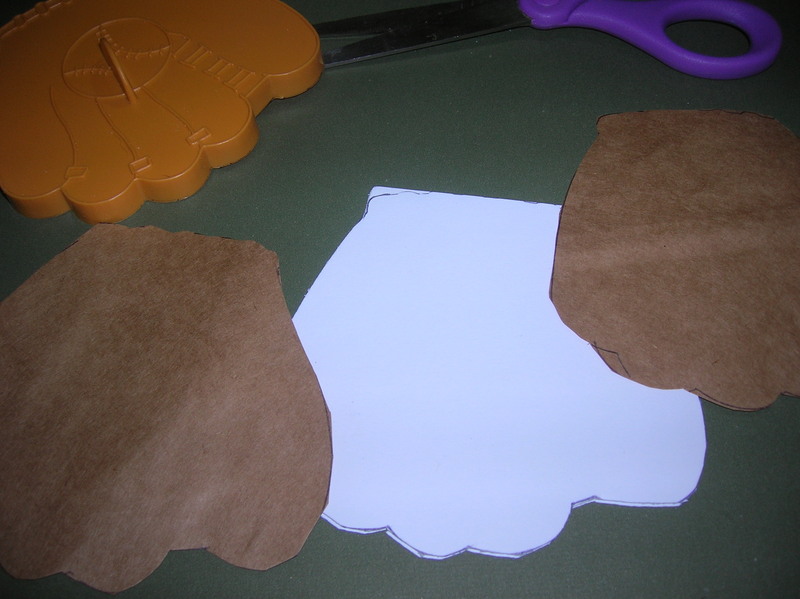 Vary the size of the cutter to make a purse sized to a full sided notepad. 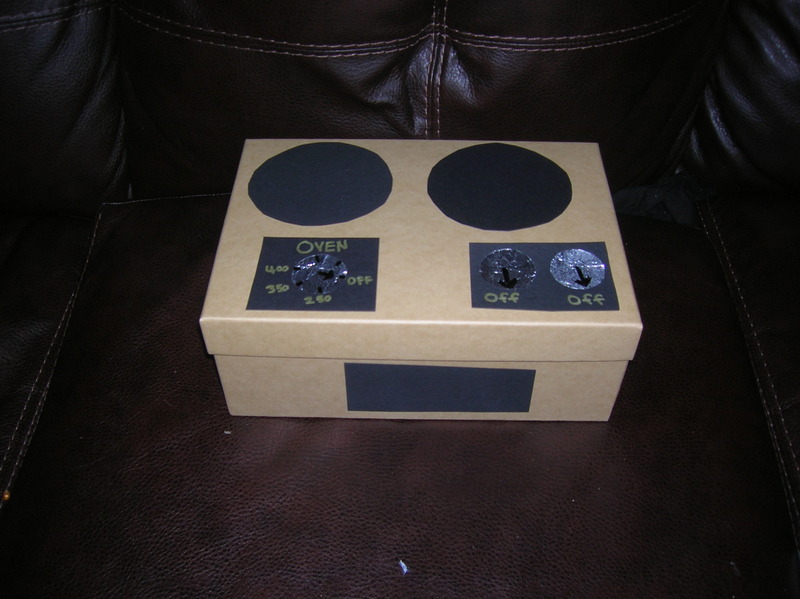 This project can be personalized for recipient or season. 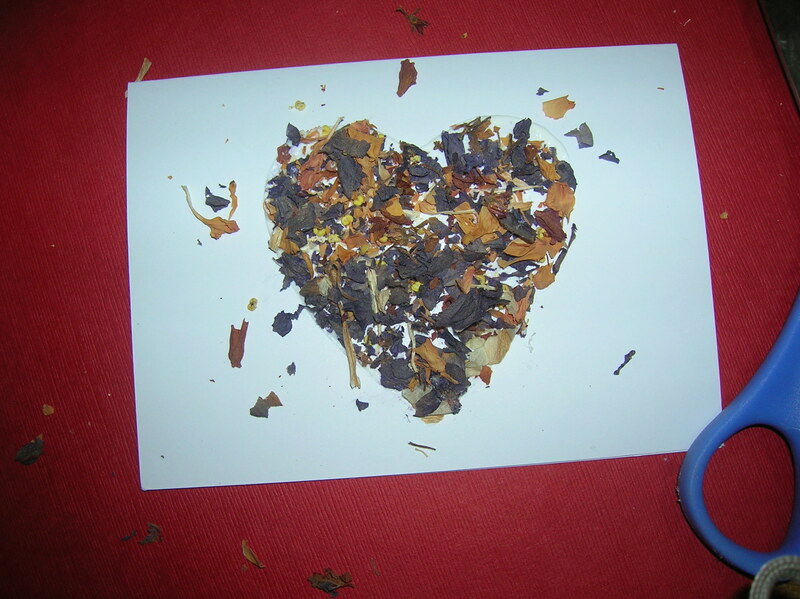 For example, add a glitter heart to make a plain notepad Valentine worthy or use a plain paperbag to make a recycled notepad. Base material for front & back of note pad: craft foam, heavy cardstock, fabric, brown paper bag, etc. Embellishments, buttons, craft foam scraps, etc. Photo 1: Assemble supplies. First consider the shape and size of the notepad you want to make and choose a cutter. A simple design would be the easiest to cut. Choose a base material for the front & back covers: reinforced fabric, craft foam, cardstock, etc. Photo 2: Trace the cookie cutter on the base material and cut it out. Photo 3: Next cut paper for the pages and a piece of thick cardboard (or another piece of foam, etc.) for the back cover all in the same shape as the front. Photo 4: Assemble the note pad. If you would like to be able to add pages to the notepad consider punching holes and using binder rings. Photo 5: Staple pad together or punch holes and use binder rings, ribbon, elastic, etc. to join the note pad together. Need a quick greeting card? All you need is a blank card (or some cardstock), a couple of cookie cutters, and craft supplies that you probably have lying around the house! Make one unique card to send to a special person or make a set of matching cards as a gift. This is a great idea for any holiday: Valentine’s Day & Mother’s Day cards especially, lunch box notes or just any time you want to add a little something extra special to a note. Easy for kids to make too! Making a set of unique greeting cards for grandma or a special aunt or creating a set of can’t be purchased Christmas cards would be a great way to pass a rainy day. 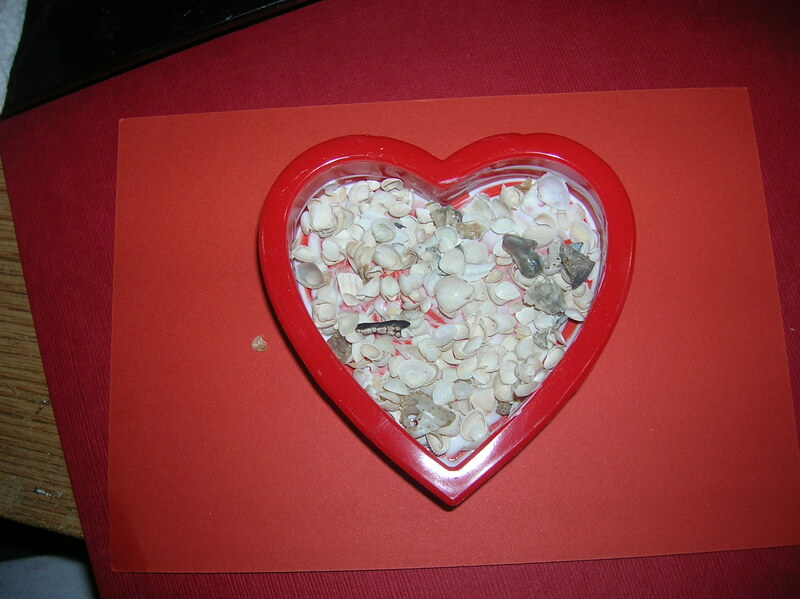 Small piece decorative material: glitter, dried floral, decorative sand, tiny shells, tiny confetti, etc. Scrapbook paper, fabric, felt, etc. Embellishments: beads, buttons, rhinestones, etc. Cards: $1 a package of eight at Dollar Tree or cardstock at about 22 cents and up per sheet. Decorative material: on-hand or $1 and up. Scrapbook paper: on-hand or 22 cents and up per sheet. Embellishments and trims: on-hand or $1 and up. Photo 1: Assemble materials. If you do not have any small piece dried floral material on-hand crumple or cut larger pieces of dried floral into small pieces with scissors. 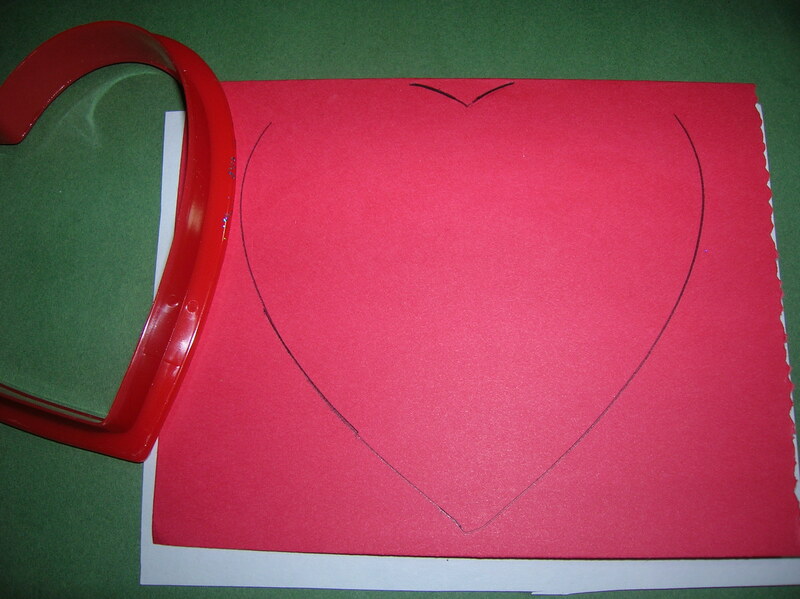 Photo 2 Place a large, simply shaped outline cookie cutter flat in the center of the front of the card. 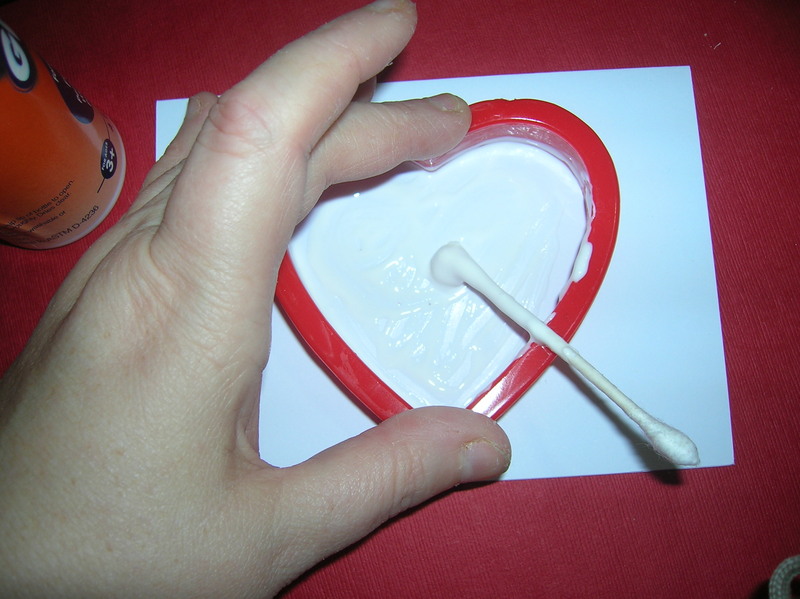 While pressing down firmly on the cutter apply a thin layer of glue inside the cutter using a cotton swab. Photo 3 Then sprinkle the small piece decorative material evenly inside the cookie cutter. Tamp materials down with the wrong end of a large paintbrush. Photo 4 Remove the cutter and wipe it with a paper towel to remove decorative material. Wash thoroughly in soap and water. Allow the glue to dry. Photo 5: Then embellish the card with buttons, bows, etc. 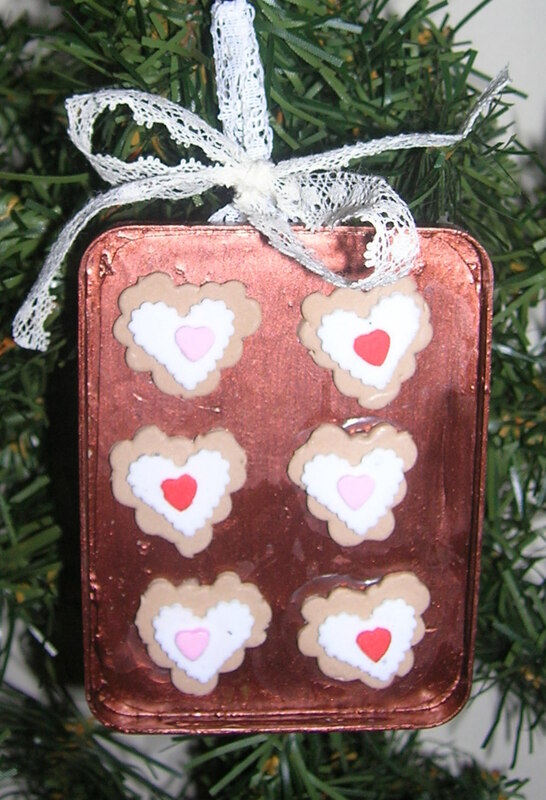 Photo 6 Glue on a cookie cutter die cut and then embellish with bronze glitter glue stiches. 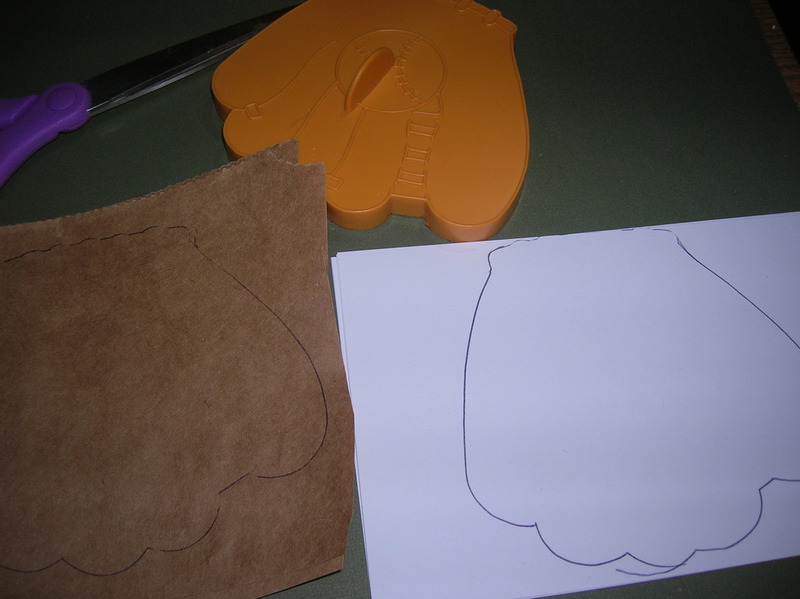 Photo 7 Use the cookie cutter as stencil and trace the shape of the cutter on the front. Then color in with markers, glitter glue, etc. Photo 8 Use the cookie cutter as stencil. 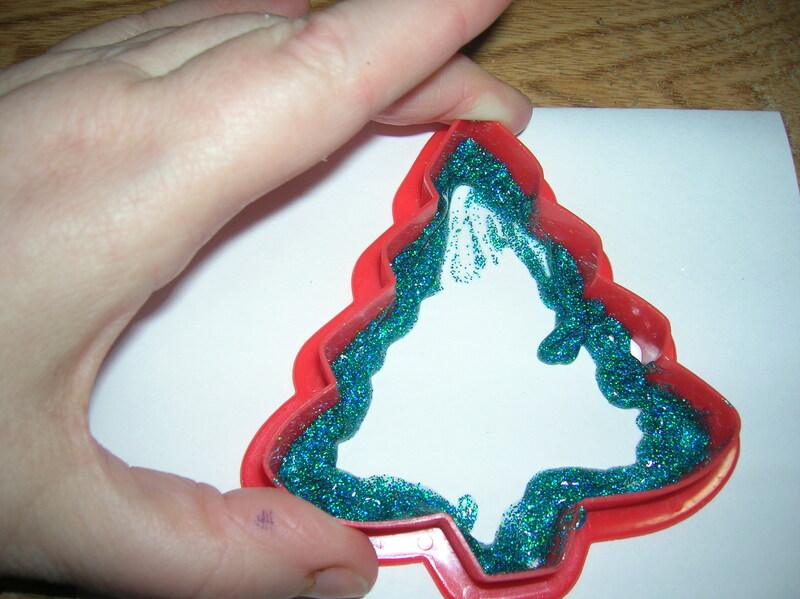 Press firmly down on cutter and apply a thin line of glitter glue just inside the cutter. 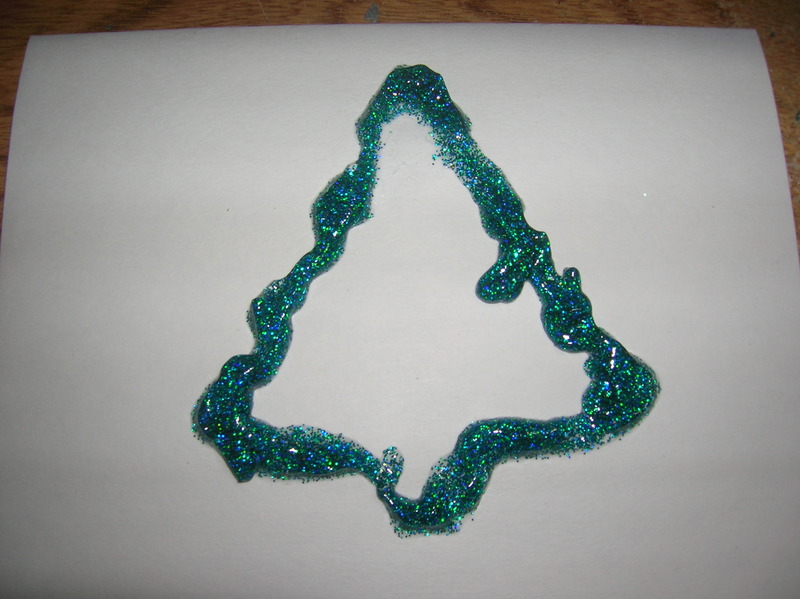 Photo 9 Allow the glitter glue to dry thoroughly. Photo 10 Glue on a snowman cookie cutter die cut and then embellish with scrapbook paper, craft foam, buttons, etc. Die Cut Embellished: Glue cookie cutter die-cuts (cut from scrapbook paper, felt, fabric, tissue paper, used Christmas cards, etc.) to the front of the card. 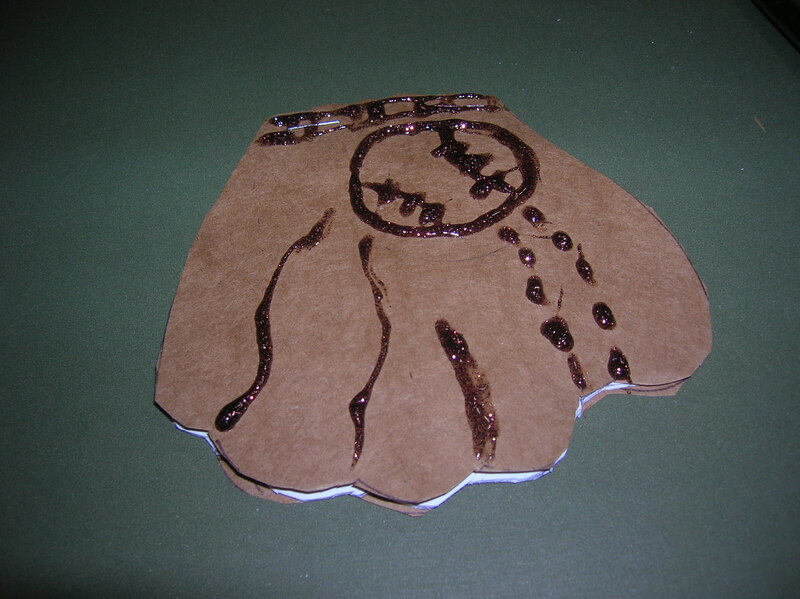 Then embellish with an outline of dots or dashes around the die cut with glitter glue or markers. Add ribbon, trim, etc. as desired. Stenciled: Or simply use the cutter as a stencil and trace the shape of the cutter on the front. Then color in with markers, glitter glue, etc. Post Card: You can also use an un-ruled index card to create a decorative name tag. Attach a Small Gift: Instead of using buttons & bows to decorate the front of the card, use a small gift: decorative erasers, necklace, earrings, etc. as the embellishment. Cut out a cookie cutter die cut in a shape coordinating with the small gift to be attached (ex: heart shaped locket – use a heart shaped cookie cutter to create a die cut). Stationary: Glue mini die cuts around the edges or in the corners of a sheet of blank paper to create a border for your own unique stationary. 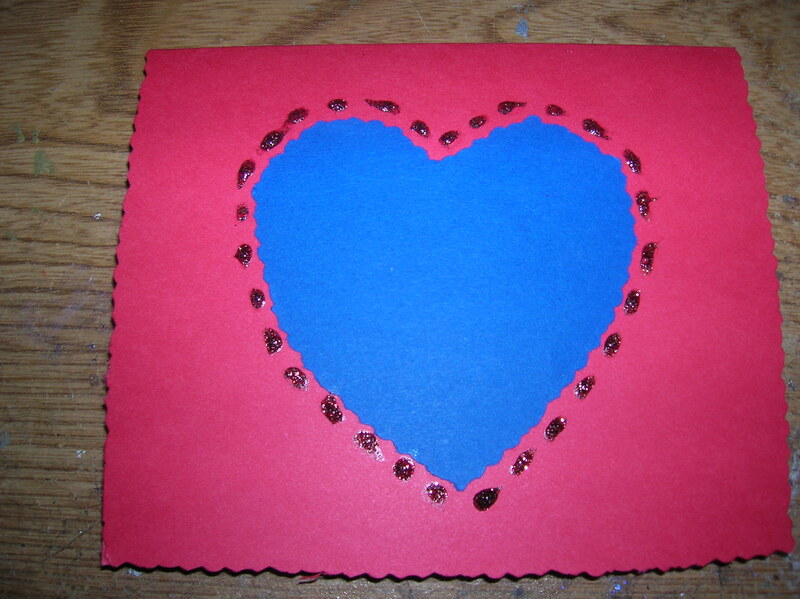 Window: Trace a shape on the front of the card and then cut it out with a craft knife to make a window. Place a photo or a 3D sticker on the inside of the card where it shows through the window. A garland hanging on the wall is my answer to having a seasonal tree. I can have my “tree” AND not have my furniture crowded right out of the room! And my two bull moose-es (meeses?) and one girl moose (moosessa?) can actually walk by it without knocking off a dozen things! An added bonus is that it is safe from the tree eating cat! Hanging the garland was the easy part, finding something special to put on it was another story all together!. So I turned to my “Cookie Cutter Craft” tutorials for inspiration. It was so super easy to alter the end product simply by changing the cookie cutters templates and the paper, fabric &embellishments used to seasonal patterns and colors. Then follow the tutorial instructions and you have the perfect seasonal ornaments for your tree, wreath or garland! 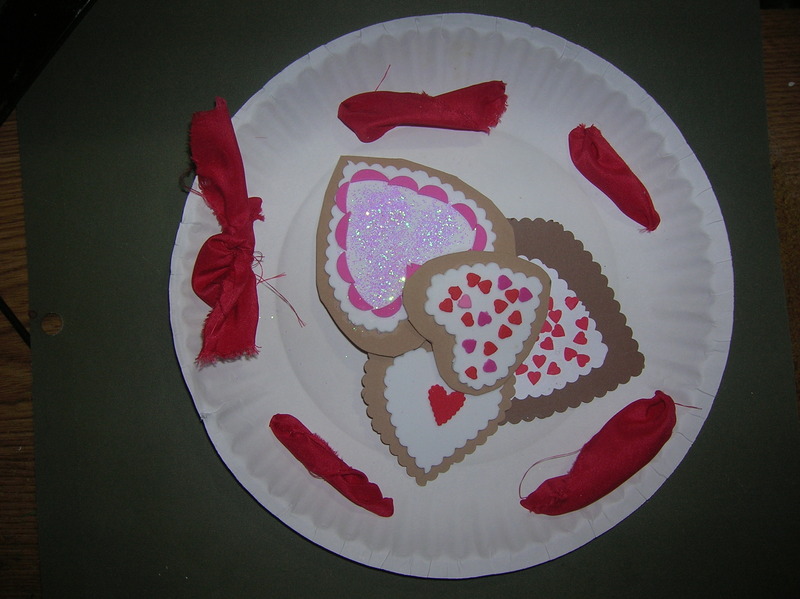 I would like to share photos of the Valentine Versions of my “cookie cutter crafts” I created that with you today. The link for each tutorial is listed below each photo. Any special tips, instructions, etc. 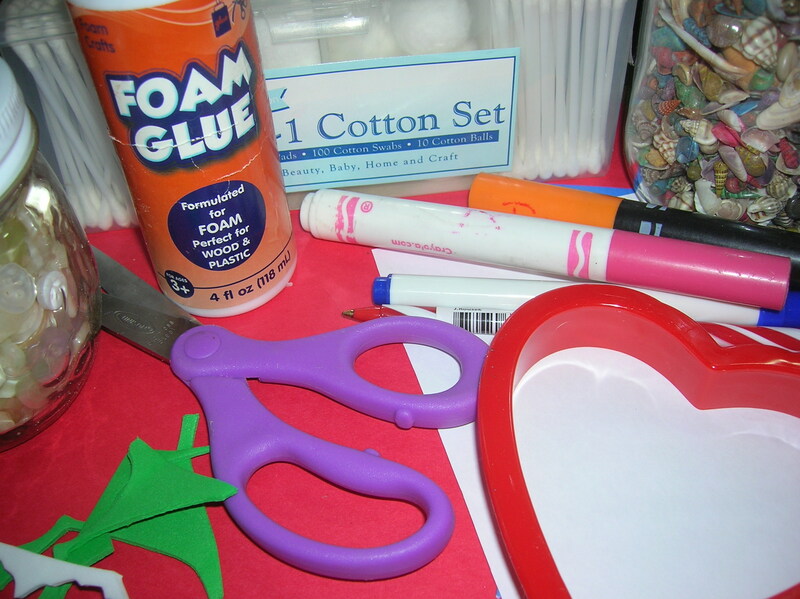 for creating the Valentine craft project are listed in the photo caption or in the description of the craft. There are a couple that the tutorial will be published soon. Please stay tuned! 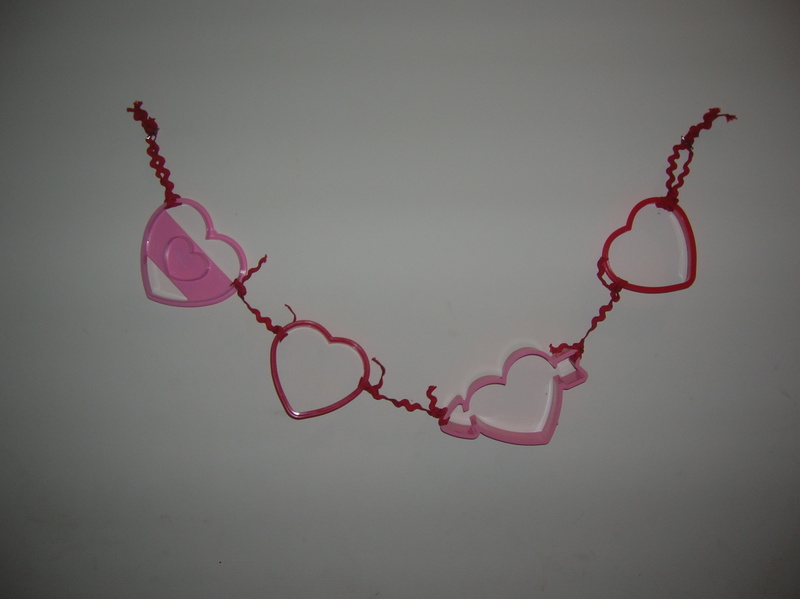 Photo 1: Heart Shaped Cookie Cutter Garland: Change the cutters to hearts, cupids, etc. and you have the perfect garland for your wall or seasonal tree. 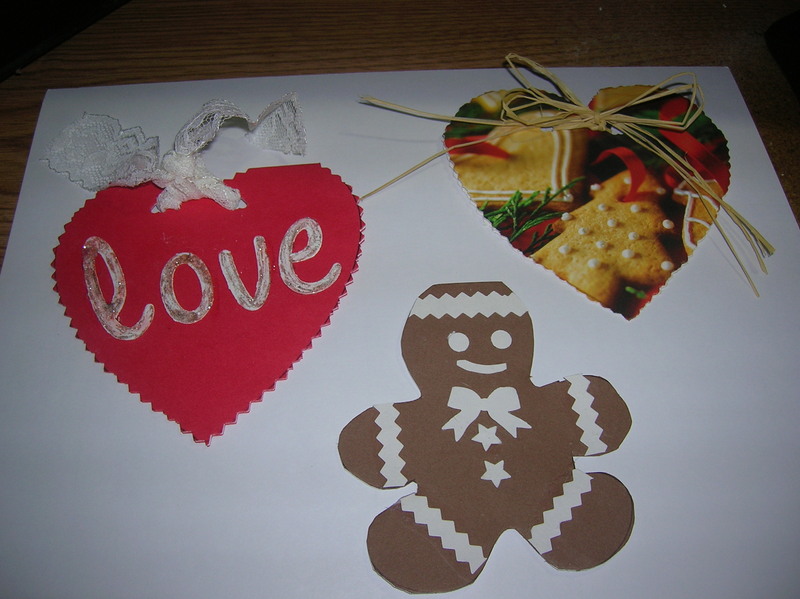 The added bonus is that with this craft if you’d later like to use the cutters all you need to do is cut them apart! Photo 2: “Cut-Out Cookie” Applesauce, Cinnamon, Salt, or Bread Dough Christmas Ornaments: The cinnamon ornaments smell wonderful for years! And last forever (or at least 20 years)! The applesauce ornaments are fragile if you make them thin. 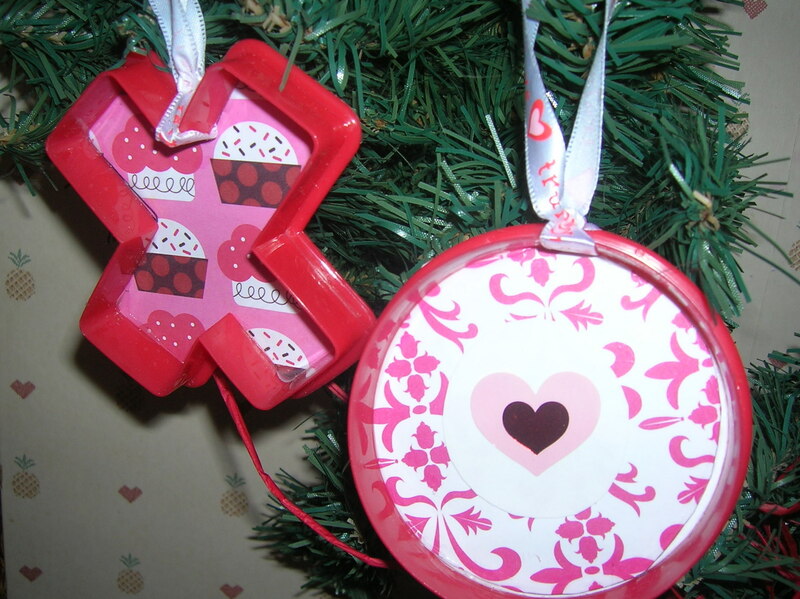 Use seasonal cutters to make great ornaments, package decorations, etc. 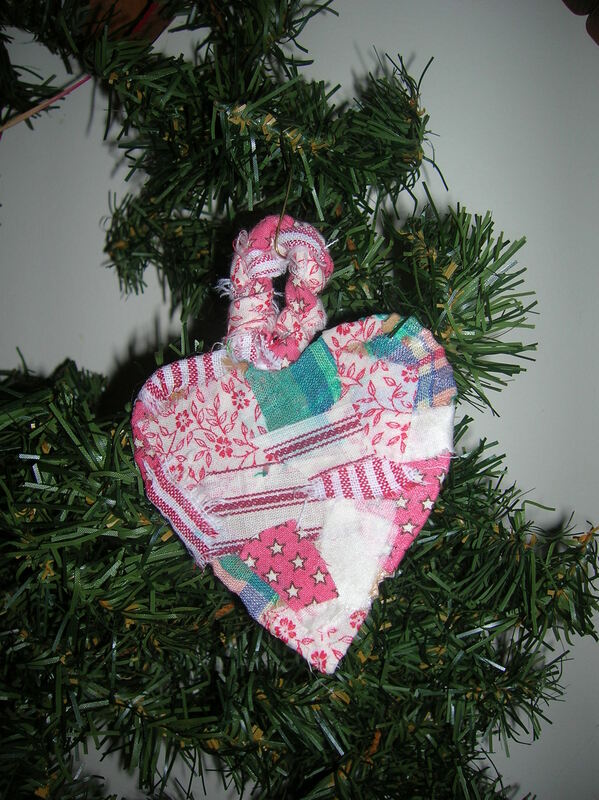 Photo 3: Quilted heart. 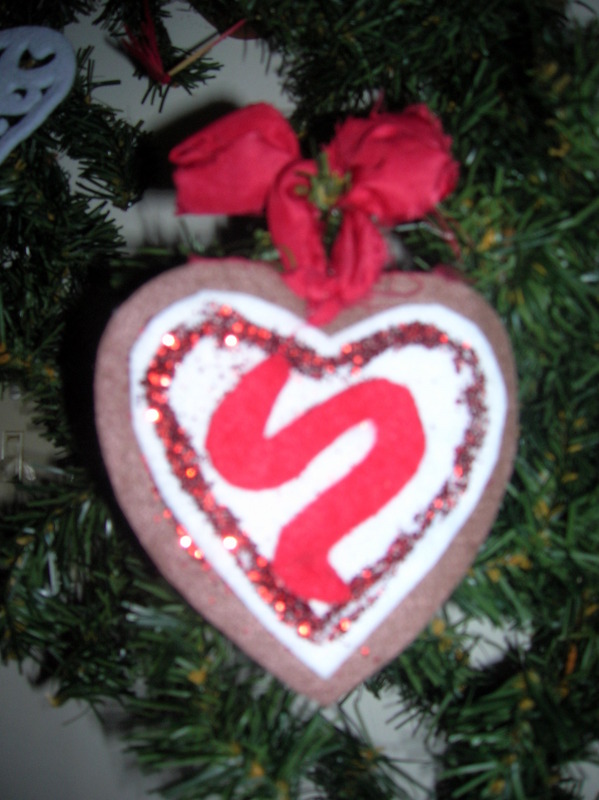 I braided a fabric hanger for this ornament. 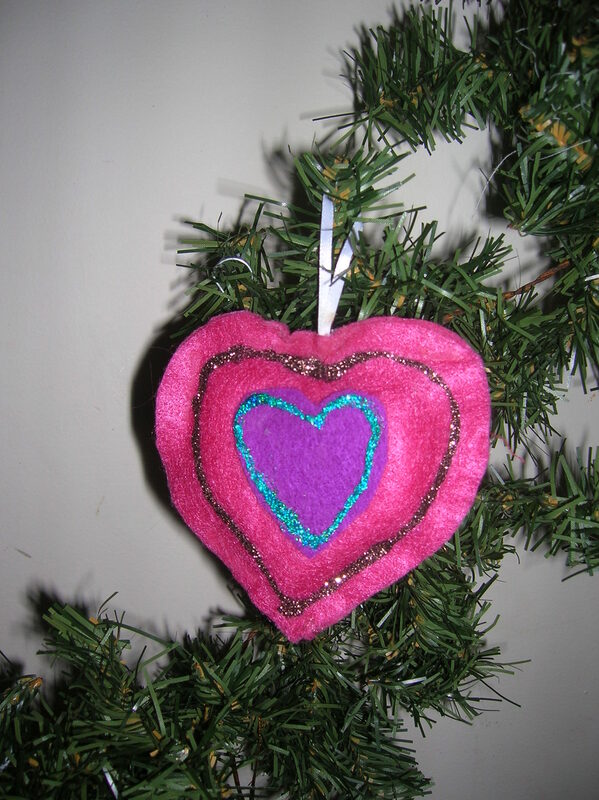 Photo 3; “Quilted” Cardboard Cookie Cutter Shape Valentine’s Ornament: this ornament gives you the appearance of a sewn crazy quilt without the needle and thread! 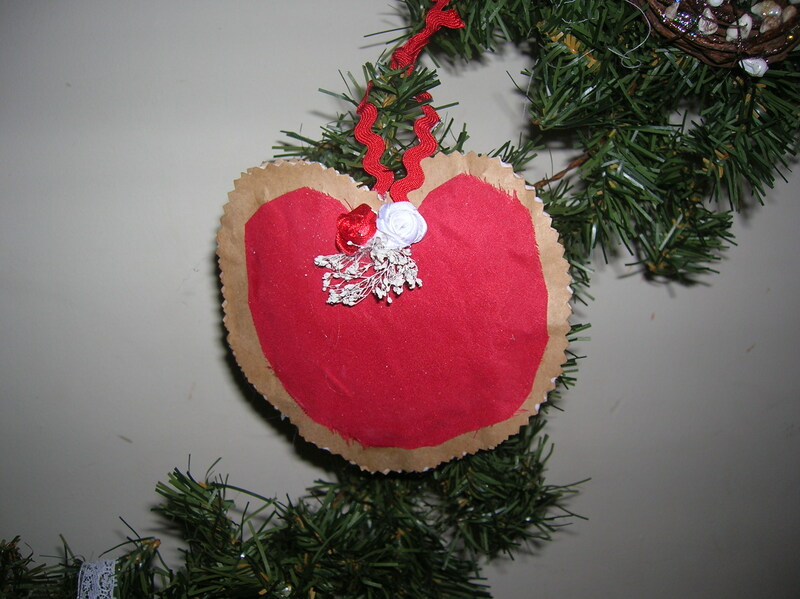 All you need to make this ornament is a bottle of white glue, cardboard, and fabric scraps. 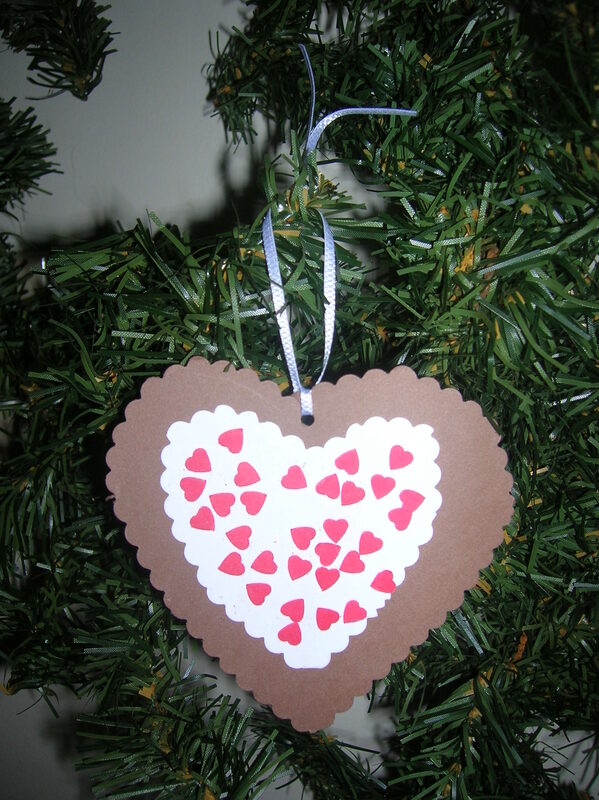 Photo 4: Scrapbook Paper Backed Cookie Cutter Valentine’s Ornament: Enhance a plain cookie cutter by backing it with seasonal scrapbook paper and adding embellishments if desired. Photo 5B: Close-up of baking utensils. 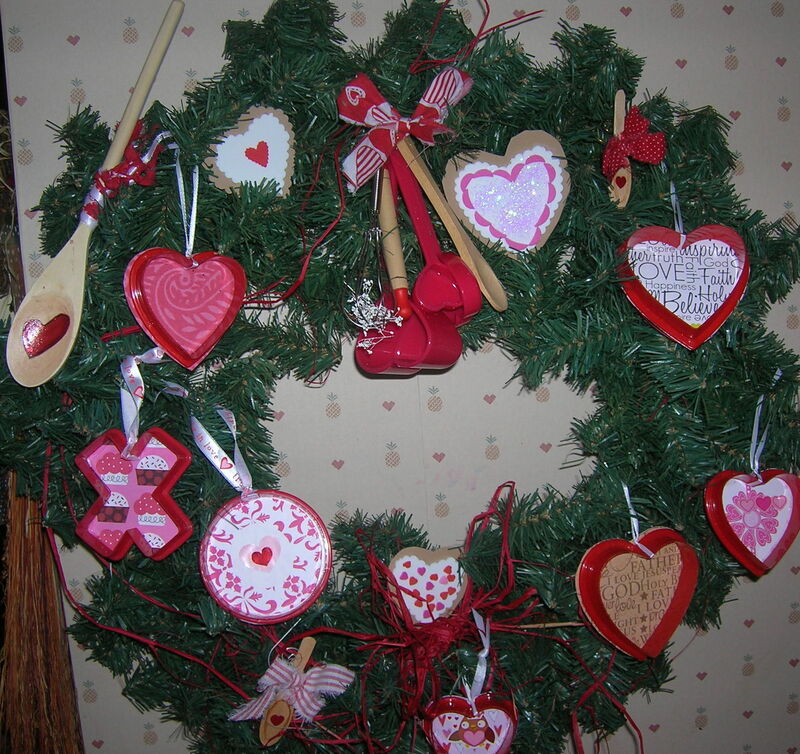 Photo 5: Valentine’s Baking Wreath: This wreath just came together once I realized that I had all the elements already made and I just needed to put it all together. It’s perfect in my kitchen! Photo 6: Cookie sheet with homemade foam cookies.I pnched a white foam heart, then glued it to tan craft foam and cut it out with decorative scissors and glued a pink or red small heart punch to the center. 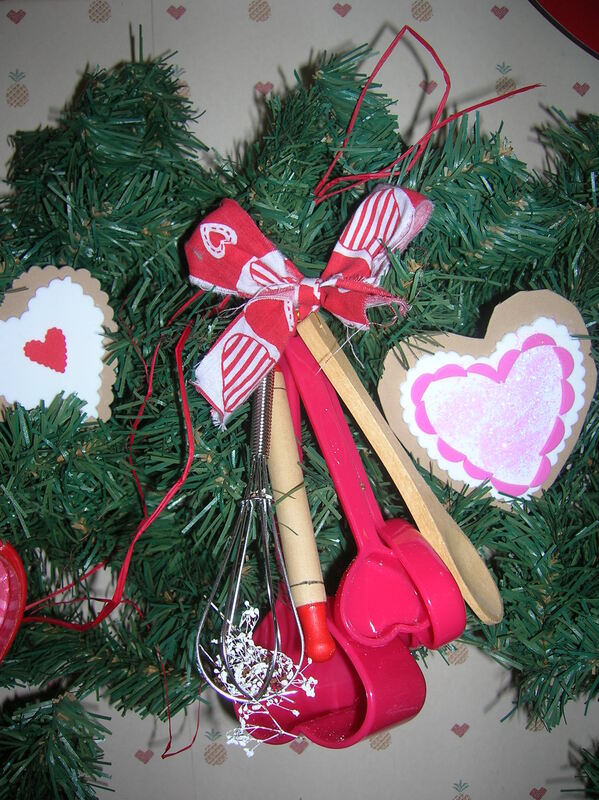 Photo 6: Heart Shaped Valentine’s Cut-Out Cookies on Copper Cookie Sheet: Simply by using homemade heart shaped cookies and lace for a hanger & bow this ornament just screams Valentine’s Day! Photo 7; Fabric or Felt Cookie Cutter Shapes Valentine’s Ornament: I don’t sew but this is an easy ornament to make simply using glue. You can use fabric glue, but I just used white craft glue! 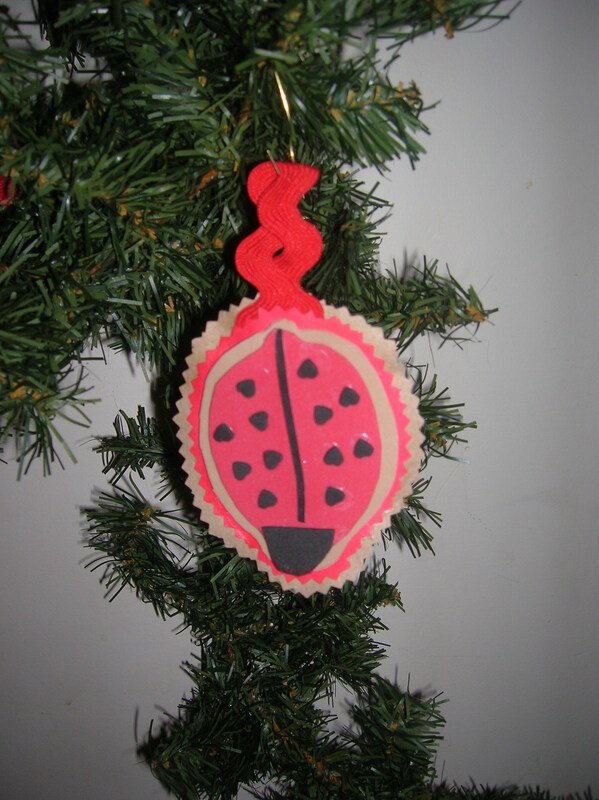 Photo 8: Paper Bag Backed Foam or Felt Cookie Cutter Shapes Valentine’s Ornament: Create ladybugs or hearts for your tree from craft foam or felt. Photo 9: Paper Bag Valentine’s Cookie Cutter Shapes Ornament: Use a plain brown wrapper to make a really cute heart (or other seasonal shape) to decorate with fabric or paint. Hang on your tree, in a window, or use the shapes to make a wreath. 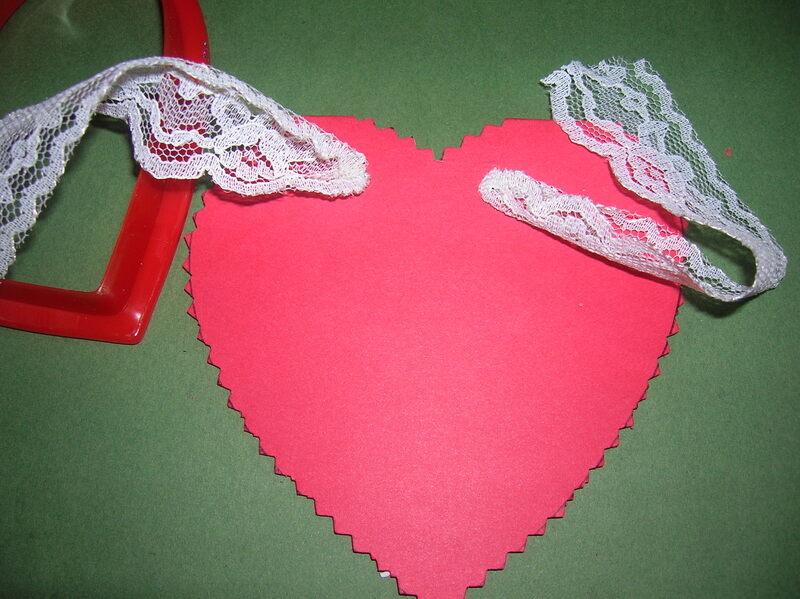 To make the fabric covered heart shown above make a pattern with a large heart cookie cutter. 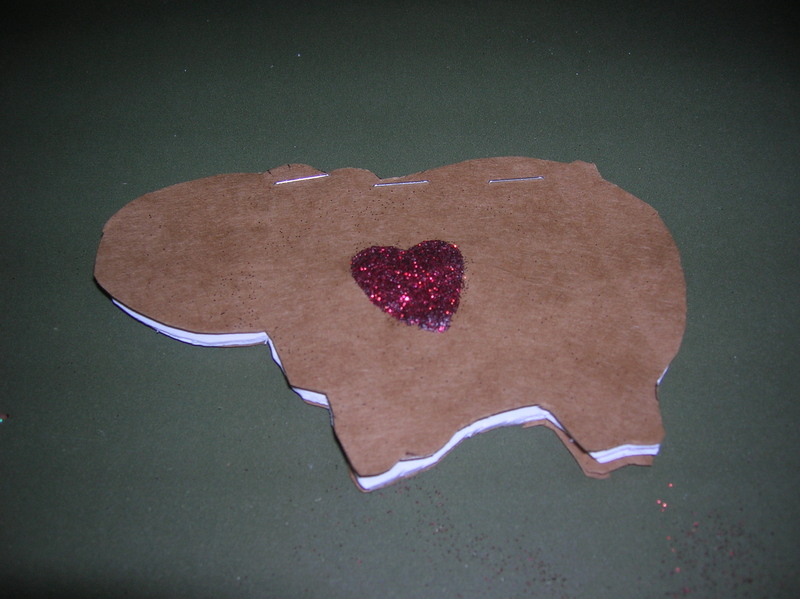 Cut out a heart shape from red fabric and glue to a paper bag. 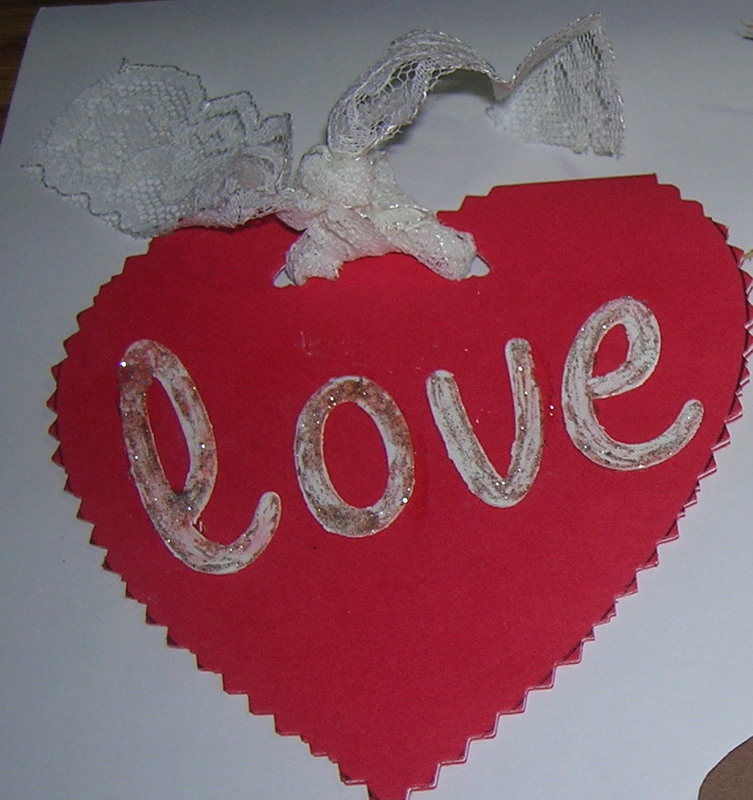 Double the paper and trim around heart leaving a two inch boarder. Stuff and glue or sew together. When dry, pink around the edges. 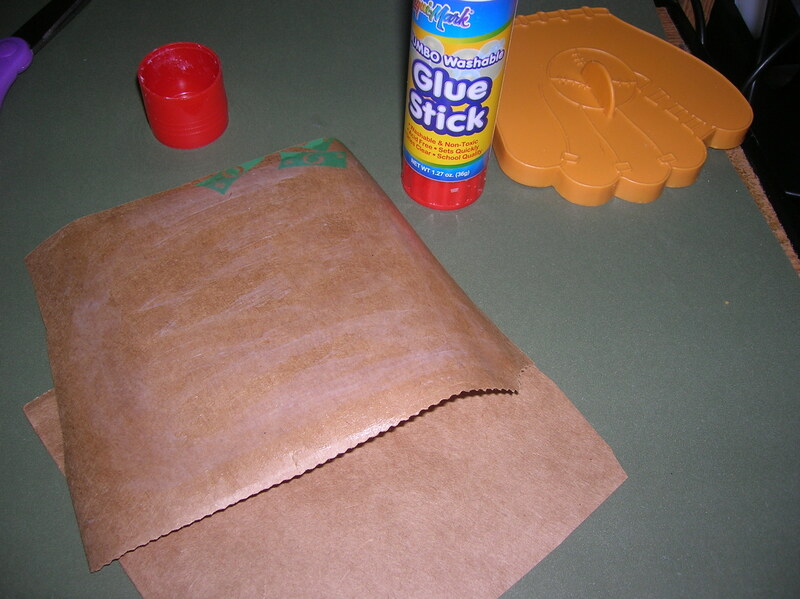 Add “stiches” with a marker or glitter glue. Embellish as desired. Photo 10: Paper (Scrapbook, Construction, Wrapping, Etc.) 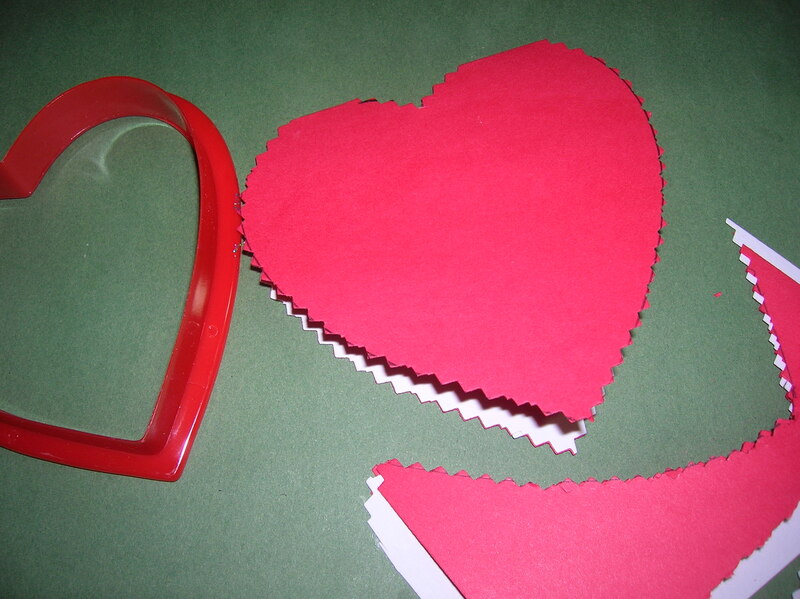 Valentine’s Cut-out Cookies: This is a great craft for kids. 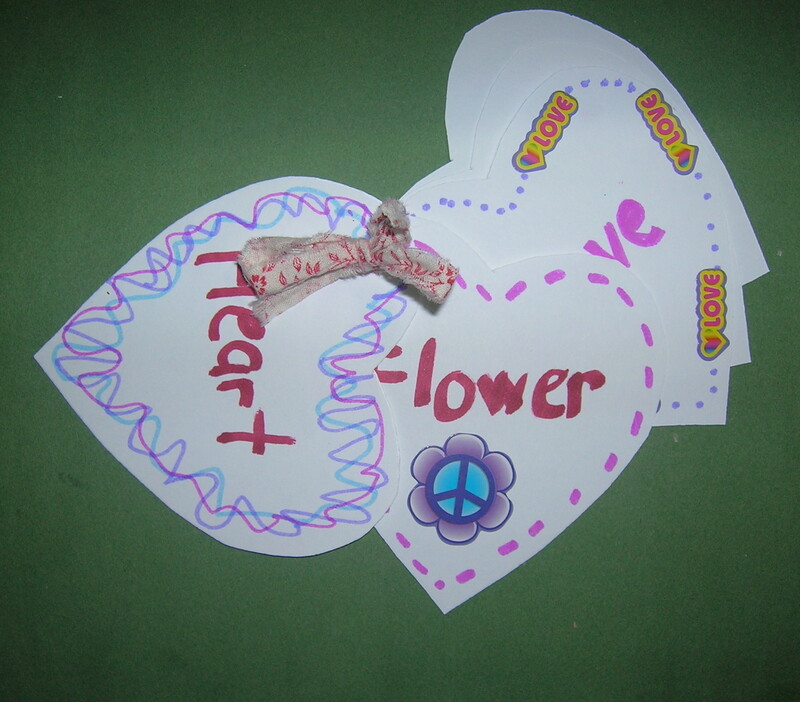 A great use for old greeting cards or kid’s Valentines. 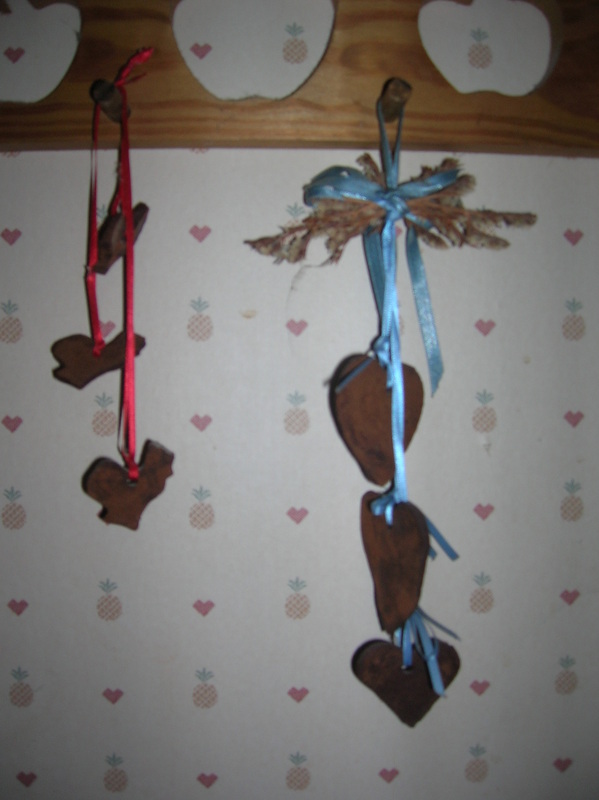 This craft is very inexpensive too if construction and “found” paper are used. Photo 12B: Fill box with baking utensils. 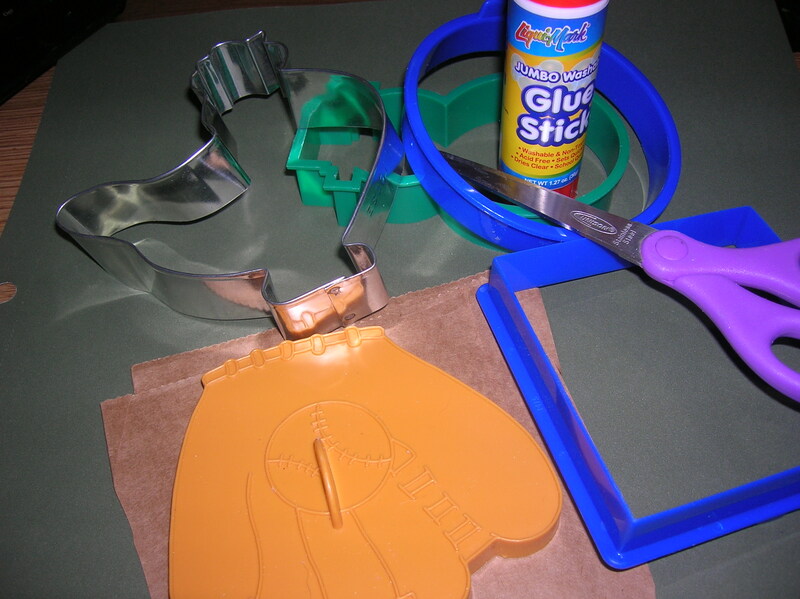 Photo 12: Cookie Cutter Crafts For Kids: The sheer range of crafts that kids can make with cookie cutters is staggering. Take a minute (or three!) and take a look at these crafts that are kid friendly. This is a busy box I designed and made using a photo storage box (substitute a shoe box) and a kid’s baking set from Bed, Bath & Beyond. 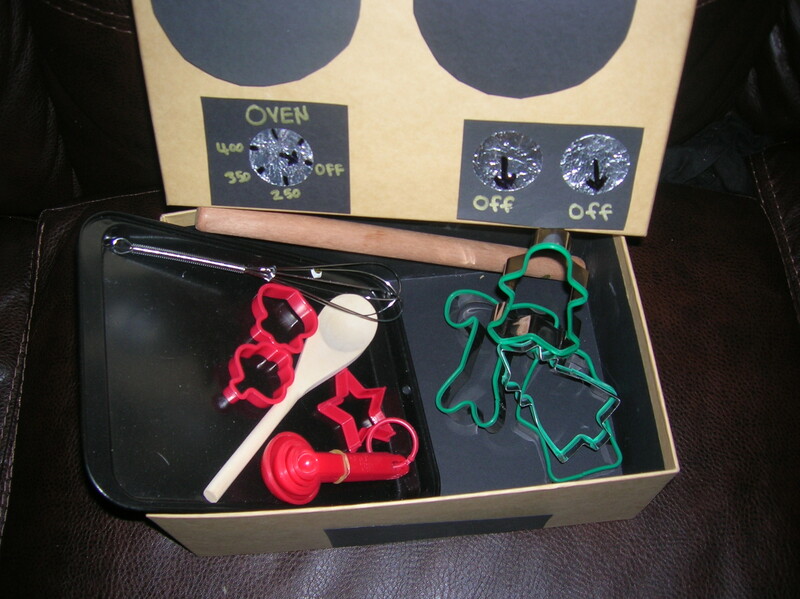 Keep this box in the kitchen to entertain your little one while you cook. You can also put together your own baling set with a small rolling pin, felt with “cookies” cut out & mini cookie cutters, cookie sheet made from a silver metallic poster, and wooden spoon. Customize the kit for the season with seasonal cookie cutter shapes. Photo 13: Food Shapers: Your cutters don’t even need to leave the kitchen for this “craft”. Craft with food! Cut decorative shapes from food to serve as accent pieces. Photo 14: Greeting Card Decoration: Add a few extra special touches to blank greeting cards and you have a beautiful handmade gift for your child’s teacher or a good friend. 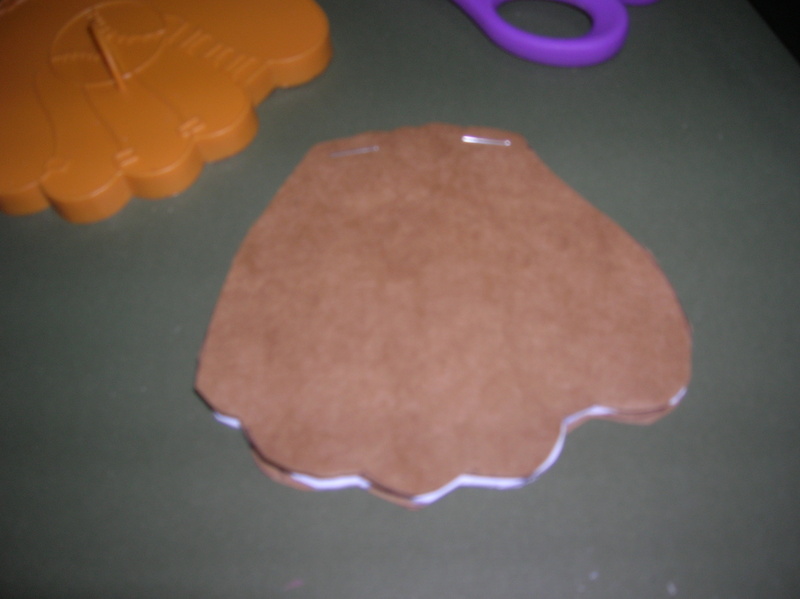 Photo 15: Cookie Shaped Note Cards: An alternative to making a hand decorated card is to make a shaped note card. Trace a cutter that “fits” the recipient (ex: football for a sports fan, rooster for chicken lover, etc. 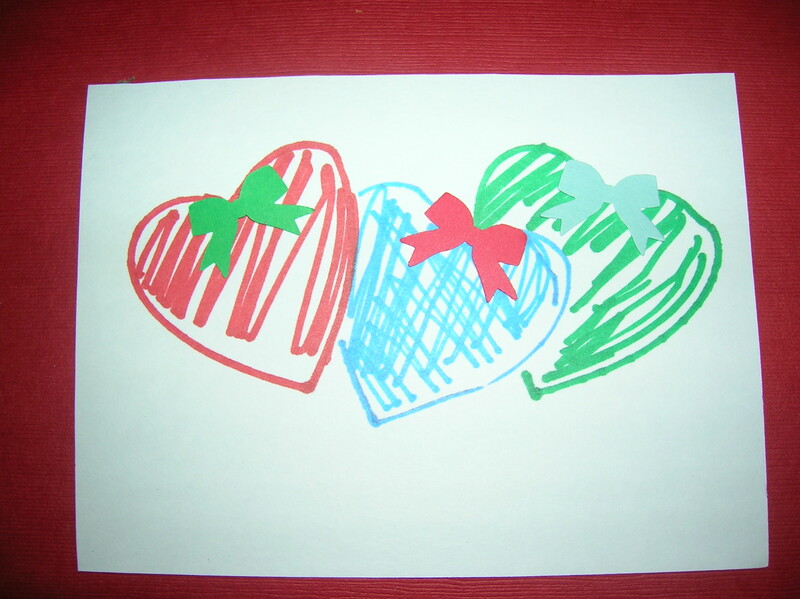 ), trace it on a note card, then cut out the shape and embellish. Photo 16: Cookie Shaped Note Pad: Make a cute notepad as a little special gift for someone special. Add some favorite saying or scriptures for that extra special touch. Photo 17 Cut-Out Valentine’s Cookies: Don’t stop with crafting up a batch or two of foam cookies – break out your favorite recipe (or try mine) and roll out some edible cookies. Don’t have time to make up the dough? Then add a couple of ingredients to refrigerated cookie dough and get RAVE REVIEWS! Here is a “sneak peak” (sneak tell?) at my upcoming Cookie Cutters: Not Just For Cookies Anymore tutorials. Look for these posts within the next month. Package Decoration & Name Tags: Make these little for your next event to get custom made themed name tags! Great for any occasion! To add a little pizazz to your gift wrapped package or gift bag, make a custom combination package decoration and name tag. You can make seasonal shapes or select a shape that “fits” the recipient. Example: For a crafting supply basket use a pair of scissors cookie cutters. For a new baby use a ducky cutter and some of the gift wrap leftover from wrapping the package. For a end-of-the-year gift for your child’s teacher use an apple cutter. Go a step further and tie a cutter and several die cuts made using the cutter in coordinating colors to serve as a package decoration and bonus gift! Party Favors: Give cookie cutters as party favors for a wedding or baby shower for a gift your guests will use for years to come! Combine them with a blank card to make a place tag. Souvenirs & Special Occasion Reminders: Instead of collecting thimbles on vacation, stop by a shop that sells baking supplies & cookie cutters and get a unique cutter. This is something you can use and will remind you of your vacation every time you make cutter with that cutter. Cookie cutters are inexpensive to collect. Most are less than $5 each. So each year around Christmas add a cutter to your collection that represents a special event from that year: baby rattle for a new baby in the family, pair of bells for a wedding in the family, school bus for a child’s first year in school, ect. Stencils: Before you buy a stencil or if you can’t find the stencil you need, take a look at the cookie cutters you have on-hand. Simply place the cutter on paper and trace. Or to make a durable template, trace the cutter on a thin piece of plastic (I found a package of five plastic binder dividers for 50 cents around the start of school. This could make a ton of stencils. Thank you for reading my post. 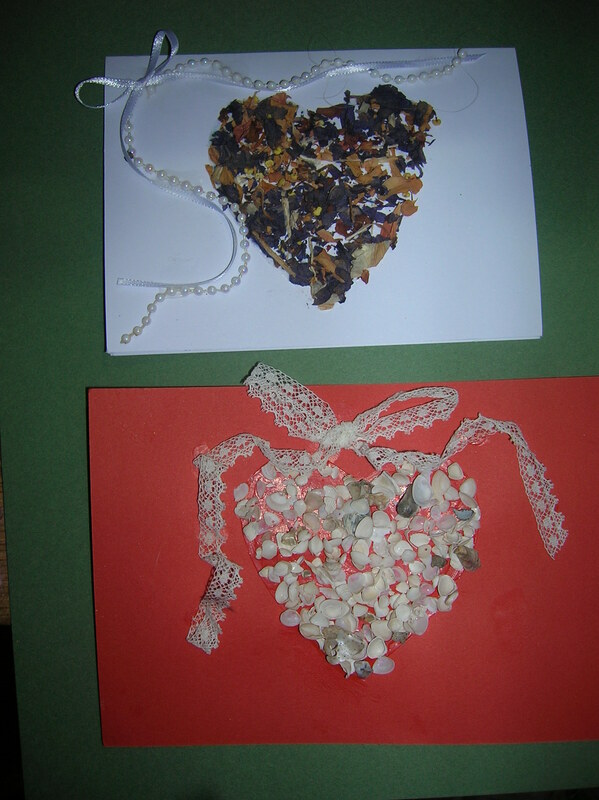 I hope you enjoyed the links to my Valentine’s craft projects. If you have any questions or something is not clear, please let me know so that I can improve the tutorial. Please take a moment to leave a comment and rate this post. I really LOVE comments! Flash cards remain one of the best tools for memorizing facts. By constant repetition and reinforcement flash cards increase the student’s comfort with and familiarity with the material to be learned. To intrigue a child who is learning to read (or to spell, add & subtract, etc.) 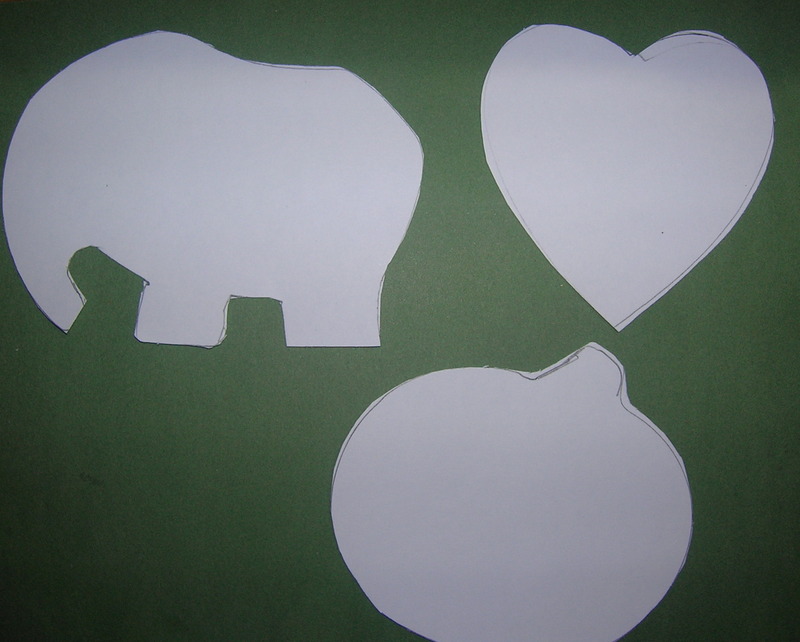 make flash cards using large cookie cutters. 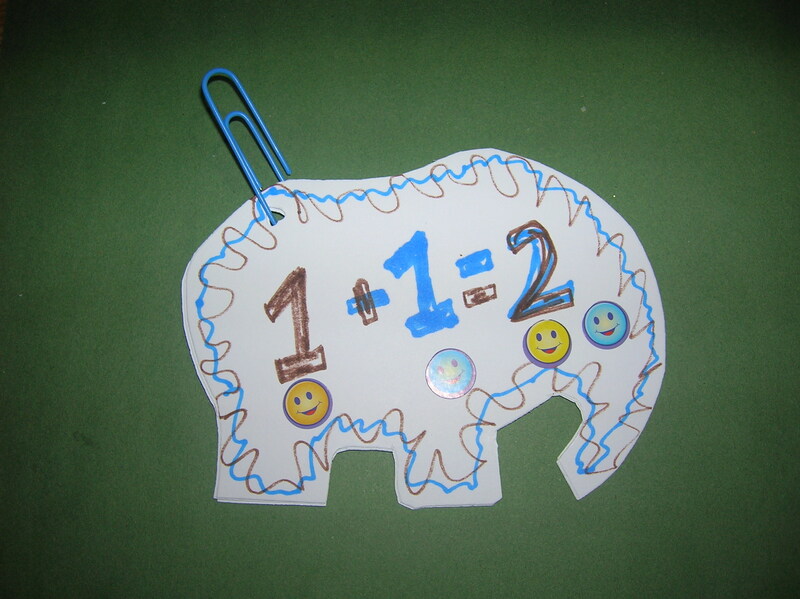 Flash cards are great for teaching numbers, letters, and arithmetic equations. Having “fun” flash cards can help your kids really want to learn! Throw a set of flash cards in your child’s back pack or in your purse and anytime the child has “downtime” (while they wait for the bus, on the car trip home, waiting for a table while eating out, etc.) they can pull out these personalized “shaped flash cards” and have fun learning! Binder ring, large paperclip, ribbon, etc. Photo 1: Assemble materials. Choose your cutters. 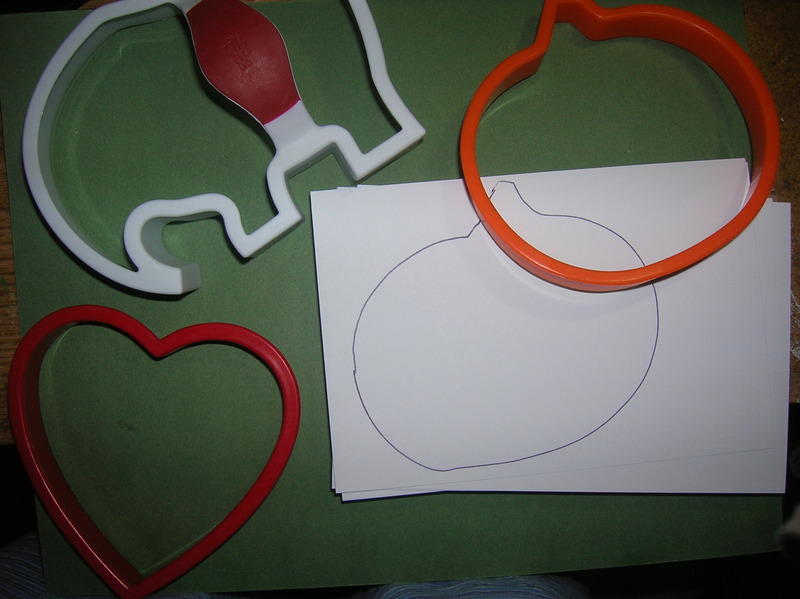 Use the largest simply shaped cookie cutter that will fit on your index card. Use at least a 4”x6” index card. 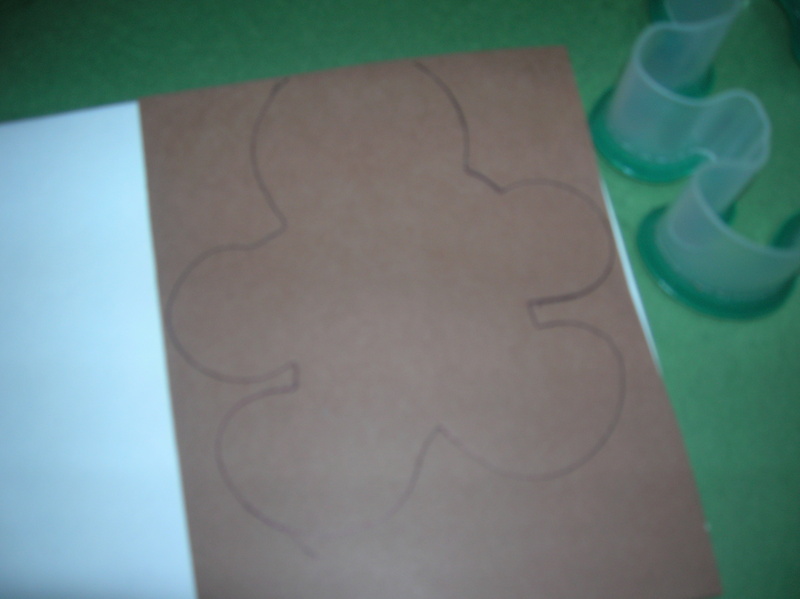 Trace the cookie cutter shape to be used on a piece of cardboard to create a template. Cut the template out. Trace the template on a large unlined index card and cut out cards in a stack of 5 to 10 at a time. Photo 2:.Once all the cards you need are cut it’s time to write the information to be learned on the cards. For example: Ask a question on one side and give the answer on the other or list a word on the front side and the definition of the word on the back. Photo 4: Punch holes in the left top hand corner of the cards. 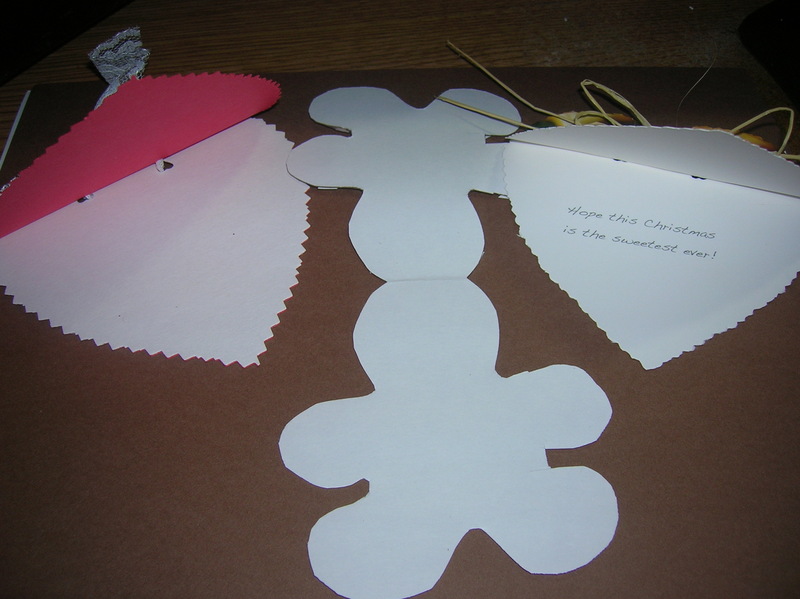 Attach the cards together with a binder ring, large paper clip, ribbon, elastic, etc. Include one blank card to record the date, child’s name, subject, etc. pertaining to that set of flash cards. As you study make a small check mark on the right hand corner of the questions, words, etc. you get right. When you have three or four marks on a card you know the information and you can put that card in a separate pile. Study the flash cards until all of them have at least three check marks. Let your children write out the information to be learned on the flash cards. Some people learn better by actually writing out the answers themselves. This is also good penmanship practice. You can customize flash cards to use only the concepts your child is having trouble with. Save the flash cards for the end of the six weeks (semester, year) review. Consider laminating the cards if they will be in use for a long time.